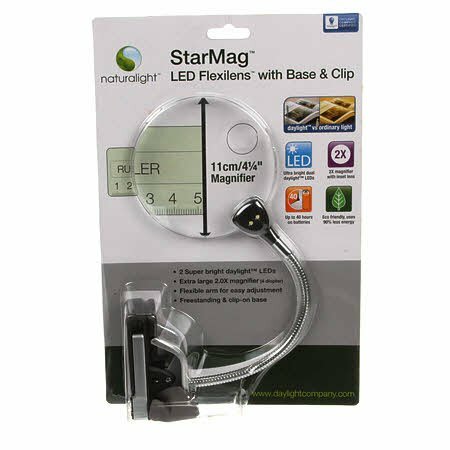 This is a practical and compact LED and magnifying lampwhich is ideal for any craft, art or reading activity. Itincorporates a flexible arm for easy adjustment with twosuper bright daylight LEDs and a large 2.0X magnifier. Theunique base has a clip and swing out legs for free standing.